Adventures in Writing Camp is excited to return to Montair Elementary this summer with all new curriculum! This location will have first grade, elementary, and middle school programs! Our team of credentialed teachers, musicians and college students is ready to help new campers build confidence and fall in love with writing, and help returning campers continue to develop as writers! Only 2 spaces remaining in 8th grade! Sunny has been a proud parent and educator for over 12 years! When she was in school her favorite thing to do was writing! She was in Book Club and now even enjoys blogging. Sunny and her oldest teenage daughter enjoy reading each other's published stories. Her youngest daughter is 2 years old and is learning to love books like the rest of the family. Sunny is so excited to be a part of leading Albany Adventures in Writing Camp and she can't wait to see the campers' amazing ideas! When she is not spending time writing or engaging in education, Sunny loves snowboarding in the winter and camping in the summer. Sunny's favorite place to camp is near the Redwoods and she can't wait to meet the campers this summer! Fordy is excited to bring a fourth summer of shenanigans back to AIW Camp. He is a double English degree holder, with a B.A. from UC Berkeley and an M.A. from CSU East Bay. 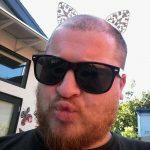 He works at Black Pine Circle School in Berkeley as a Teaching Assistant. As a writer, he finds the small stuff most challenging, such as the finding the right word and drafting (I mean revising. No, changing. Actually, I meant drafting. Yes, that's it! Drafting); his interests lie in short fiction, poetry, and essays. He has facilitated writing workshops and acted as an editor on literary magazines. In his free time, Fordy adores being with his cats, his bass guitars, friends, garden, kitchen, concerts and books. He's passionate about both creative writing and literacy, and proud to be contributing to the summer retention rate for young learners. This is Kim's second year working for AIW! Kim has taught 1st grade and TK. She loves reading, writing and teaching others to love reading and writing! Learning should be FUN! She just finished her Master's degree in Educational Technology and Design. 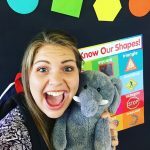 Her passion is combining technology with academic goals in order to make learning engaging, relevant and fun! When she is not at school, you can find her drinking coffee with friends, hiking, exploring new places or dreaming about new possibilities. Natalie is excited about starting camp this summer! During the school year Natalie is a 2nd grade ELA teacher at Curtis School of Excellence in Chicago IL. She also is the the PBIS (Positive Behavior Interventions and Support) lead. This is her first year teaching in Chicago and 7th year teaching over all. Natalie is also a grad student at University of Illinois at Chicago (UIC) where she is studying Education Policy. Natalie is passionate about building rapport with her students, and creating a safe, welcoming learning environment where students are excited about learning. 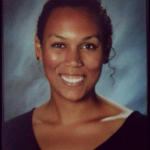 Natalie achieved her teaching credential from California State University East Bay in 2014. Before teaching Natalie worked for an organization called Playworks. While with Playworks she was an Americorps member who provided recess organization, conflict management strategies, student leadership, and ran an after school program. Natalie truly enjoys working with kids and helping them realize their potential. In her free time Natalie enjoys spending time with her three year old daughter singing songs and playing games. Natalie is also a past college student athlete and enjoys playing basketball with friends. Jennifer had a terrific experience as an Adventure Guide last summer, so she’s thrilled to be back again! She just graduated San Francisco State University in the fall, majoring in Creative Writing and minoring in Drama. So, as a writer herself, knows how important and rewarding the art of storytelling is. Jennifer can’t wait to share her knowledge and excitement this summer again! 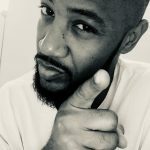 Alaric "Al" Foreman is an experienced and engaged educator from the Oakland Bay Area. In his 6+ years of classroom instruction, Al has challenged the minds of learners from Transitional Kindergarten (TK) through 12th grade and beyond in a wide range of instructional positions, including facilitating extracurricular programs, and as a coach of athletic teams. As an innovative, energetic and hardworking classroom facilitator and administrative leader, Al attributes his love for teaching to his passion for helping kids think 'outside of the box' to showcase their academic knowledge and to express their emotions. In addition to his teaching experience, Mr. Foreman has also created instructional supports like his Differentiated Assignment Assessment (DAA) student-focused assessment model, he has created and supported student-run media projects like the 'Bobcat Broadcast News,' podcast within Oakland Unified School District, and he has participated in fundraisers for student-centered wilderness retreats. Al completed teaching credential requirements for Multiple Subject focus through Cal State Teach/California State University Monterey Bay, he is a Master's Degree recipient in Graduate Communication Studies, he holds a Bachelor's Degree in Communication/Media Production, and is a veteran of the United States Army Reserve. 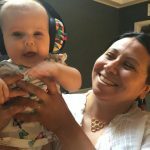 This is Jamila's third summer with Adventures in Writing Camp! 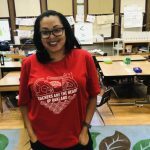 She teaches 1st grade at Montclair Elementary School in Oakland. Jamila is a graduate of UC Berkeley's Developmental Teacher Education program where she earned a Multiple Subject teaching credential and a MA in Education. Jamila is mom to Reile (9) and Kaia (4) and enjoys taking her children to the park, hiking and reading mystery novels. Jamila actually plans on writing a mystery novel one day - she's got one chapter finished so far! 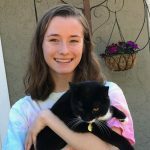 Siena has loved writing since she was little, and pursued her interest at Monte Vista High School by taking an AP Language & Composition course her junior year. She received an 'A' both semesters, and later received the highest score possible on the AP test. As a senior, she took Expository Writing and explored a more creative writing style with projects such as creating her own screenplay (and directing a film for it), writing and illustrating a children's book, and composing an essay about her inspirations. As an incoming sophomore at the University of Oregon, she is excited to continue to pursue Environmental Studies. 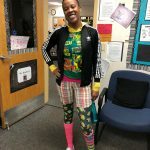 Having six years under her belt working on staff at a county-wide 4-H camp and multiple sectional/state 4-H leadership conferences means she loves working with kids, and enjoys dress-up days just as much as they do. She can often be found bribing kids with candy to get them to pick up trash, and sprouts facts about nature and animals like it's nobody's business. She's very excited to join the 2018 AIW Camp Team as an Adventure Guide!